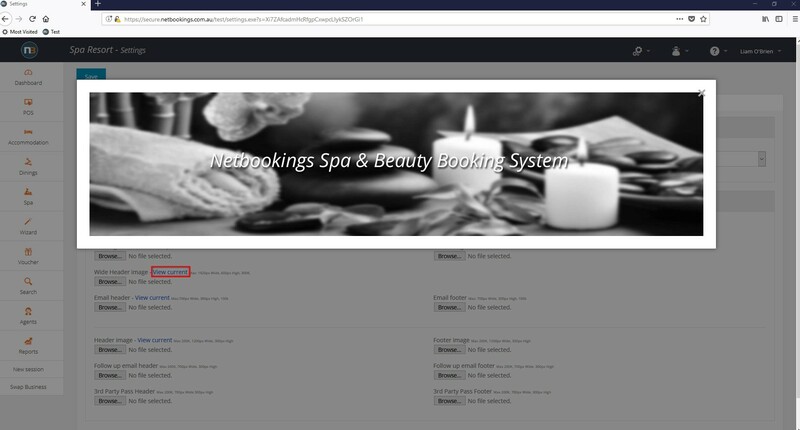 Netbookings allows you to upload your custom images to appear on your online booking system. Upload your images by clicking the ‘Browse’ button under each name. You may also select a theme from the themes drop-down menu. 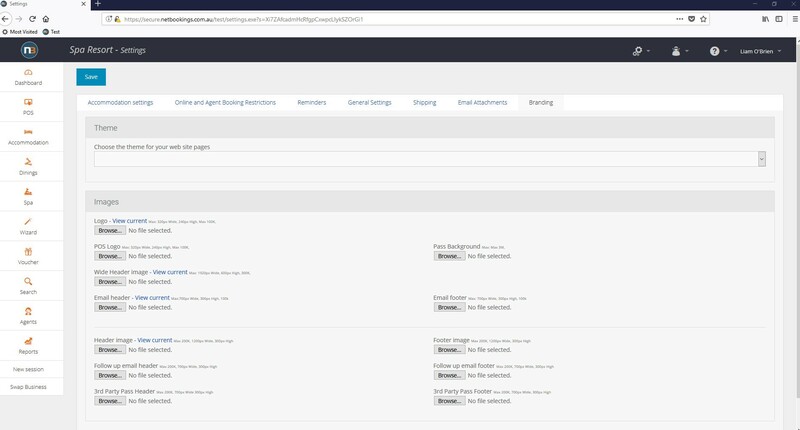 The ‘Wide Header image’ will appear online, for example, on your ‘Find your Experience’ page. 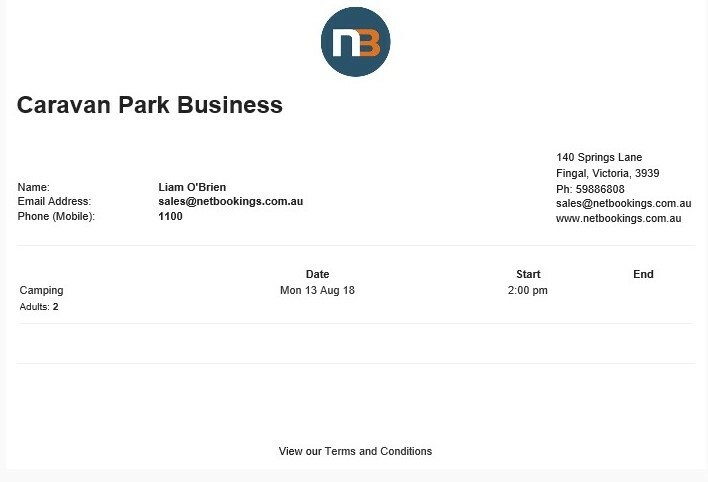 The email header and footer images will automatically be added to any any emails sent from the Netbookings system. 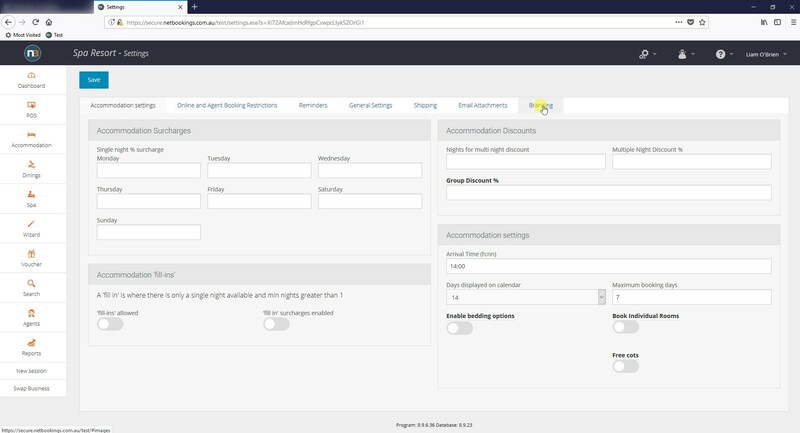 Similarly, ‘Follow up email’ header and footer images will appear on the follow up emails sent through the reminders page. The ‘POS Logo’ is the logo that will printed on receipts printed through the POS system. The image must be a ‘.bmp’ and should be black and white. – Logo image must be ‘.gif’ file type. – If no email header image has been chosen, the business logo will be used by default in confirmation emails. 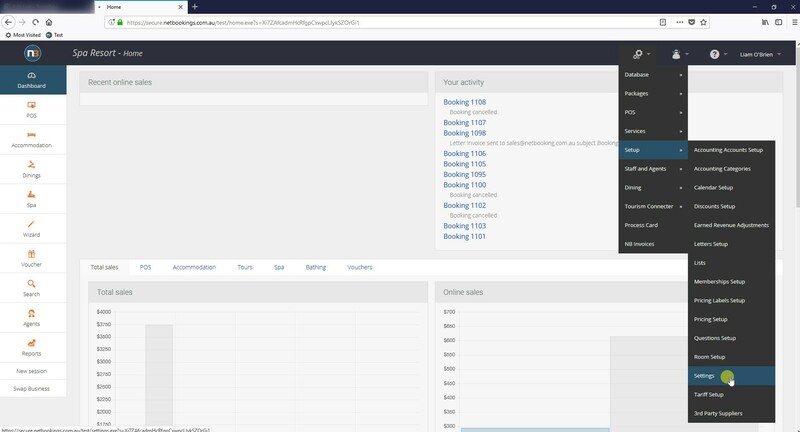 Clicking ‘View Current’ will allow you to view the already uploaded image. If no email header image has been chosen, the business logo will be used by default. This an example of a confirmation email that has been sent but an email header image has not been chosen. 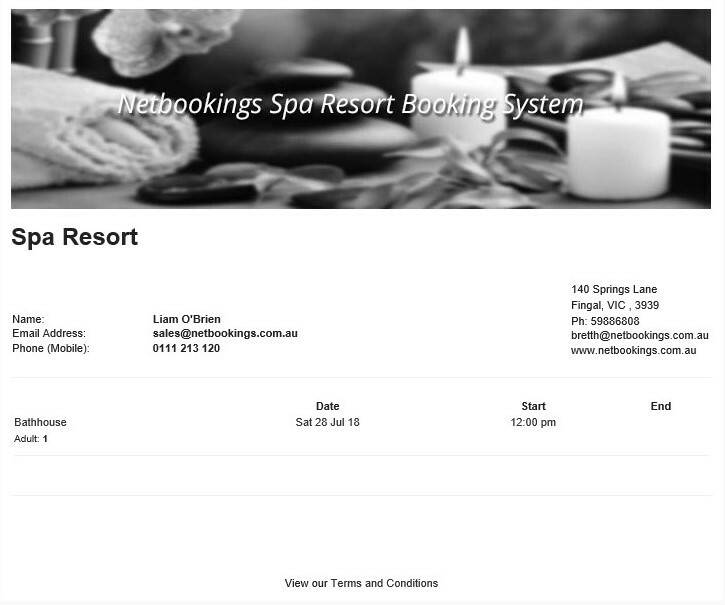 This is an example of a confirmation email where an email header has been uploaded.